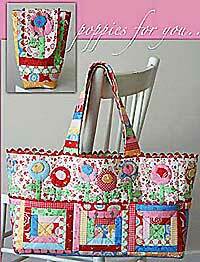 The Poppies For You tote bag pattern has 3 quilted square across the bottom and a top piece will flowers. 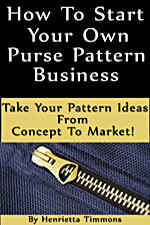 There are double handles and part of this pattern is in a log cabin quilted design. 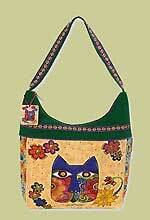 Finished size is 11" x 18" not included handles. 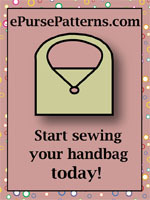 Minimum of 14 fat 1/8th's of assorted print fabrics for log cabin blocks, applique, inner pockets and handle lining.